Is your little one hungry before bed? Maybe he didn’t get enough protein today… Or it was a challenge to get him to eat his veggies today…if so, a green smoothie is the perfect “last snack.” Try a smoothie packed full of nutrients that will keep your little one satisfied all night long. A much better choice than milk before bed! Here is a recipe we use, but feel free to play with it. You’ll likely have extra after blending this all together so it makes a great snack for mama too! I always keep frozen spinach on hand. I toss it in sauces, soups, hamburger meat, and SMOOTHIES! Trust me, your child will have no idea! The deep color of the berries will mask the green spinach. 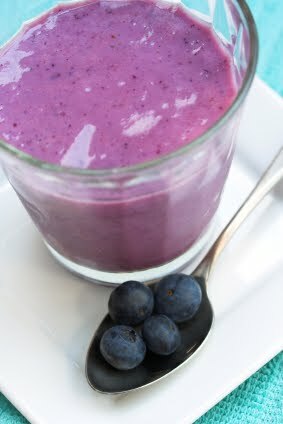 And with all the other goodness added to the smoothie, his taste buds will not be able to tell! Deceptively delicious! Optional: 1 capsule of blue-green algae (Afa-gen). Just break open the capsule into the blender.